Beaked Whale Species Discovered by New Song? The songs of the mysterious Beaked Whale, Ziphiidae, may have uncovered the existance of an entirely new species of whales. Deep in Antarctic waters swim the beaked whales, a family of toothed whales that is largely a mystery to science. Now, following a joint study between American and Argentinian biologist, they just became even more enigmatic. Mostly tracked by their songs and echolocation clicks, scientists just recorded a distinctly whale sound they’d never heard before, hinting at a yet undiscovered species. Their far descending dives (Cuvier’s whale has been tracked at nearly 10,000 ft below the sea surface) and infrequent breaches have long made the toothed whale family Ziphiidae difficult to study except by each species’ unique vocalizations. Then came Antarctic BW29, a definitively beaked whale voice but previously unrecorded by science. The research team, led by Jennifer Trickey of The Scripps Institution for Oceanography, captured the singular signal 1000 times over the course of 14 hydrophone sessions near the South Shetland islands, South Orkney islands, and the Antarctic peninsula. After analyzing the recorded echolocation “chirps” the researchers realized the frequency -or pitch- doesn’t match those of any known species of the whale. While similar in pitch to known whale species – the chirps sounds most like a strap-toothed whale, a southern Bottlenosed whale or a Gray’s beaked whale – it doesn’t quite fit. The frequency of their echolocation call are proportionate to a species’ physical size and Antarctic BW29 presents a frequency incompatible with the dimensions of the aforementioned candidates. So…Could a new species be swimming about? It’s definitely possible. Bottlenose whales aren’t the correct size for the Antarctic BW29 chirp. Though additional evidence is needed to confirm a new-found species, scientists researching beaked whales would be hardly surprised. 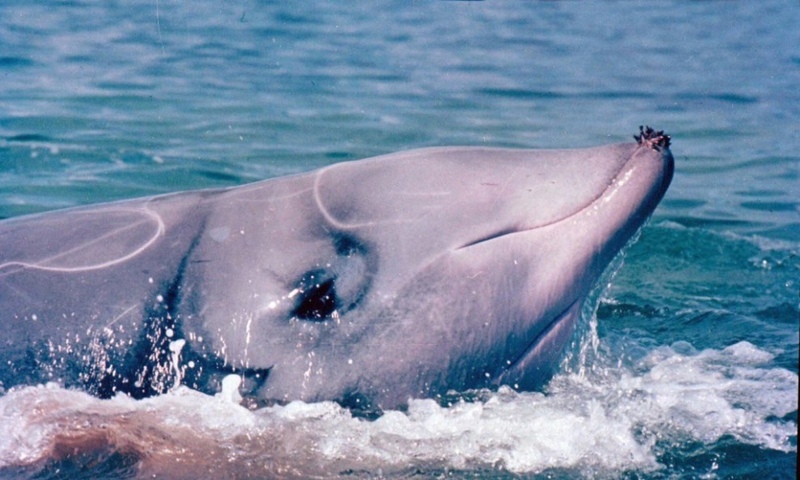 The newest member of the cetacean family, Deraniyagala’s beaked whale, was acknowledged only last year after DNA analysis differentiated the new species from another species, the ginkgo-toothed beaked whale.